Wells Fargo Center for the Arts welcomes GRAMMY® award-winning singer-composer-bassist Esperanza (Emily) Spalding as she presents her newest project Emily’s D+Evolution to Santa Rosa on Sunday, August 9, 2015 at 8:00 PM. Tickets are on sale NOW (don’t miss her) BUT we have a pair to give away. Call us at 525-1963 and say “I want to win Esperanza Spalding tickets”. We will enter you in the drawing. The lucky winner will be picked on Saturday August 1 at 4:20pm. the follow-up to his 2013 double disc release, Rhythm & Blues, which debuted at #1 on Billboard’s Top Blues Albums chart. Born To Play Guitar was produced by Grammy Award winning producer/songwriter and Buddy’s longtime collaborator Tom Hambridge. The recent recipient of the 2015 Grammy Lifetime Achievement Award, Buddy Guy’s incredible career spans over 50 years with just as many albums released. Career highlights include seven Grammy Awards, 28 Blues Music Awards, Kennedy Center Honors, NARM Chairman’s Award for Sustained Creative Achievement, Billboard Music Awards’ Century Award for distinguished artistic development, Presidential National Medal of Arts, and induction into the Rock & Roll Hall of Fame. the fourth studio album by Titus Andronicus and the band’s debut for Merge Records. The central narrative of TMLT concerns an unnamed protagonist whom we meet in deep despair. TMLT is both the crown jewel of the band’s discography and the legend that contextualizes their entire body of work. is a culmination in Joss Stone’s travels in sound, demonstrating how the teen soul prodigy has blossomed into an artist of style and substance. This is an album that pulses with the liquid groove of reggae, dazzles with the mix and match sonic adventure of hip hop, shimmers with the exotic sounds of world music and delivers the emotional belt of R&. Most of the songs for Water For Your Soul had been written and demoed before Joss’s Total World Tour began but widening horizons convinced her to completely rethink and recut the record. The sound expanded to include Indian tabla, Bengali lute, Bansuri flute, African and Asian percussion, plus gospel choirs, New Orleans horns and full orchestra. After various experiments, abandoned and revisited sessions, the final album was more or less completed in a 10 day frenzy, with strings being recorded in London, percussion in Hawaii and Joss pulling it together at her own Home Grown Studios in Devon. album from the three-time Grammy nominee, songwriter, actor and model. Imbruglia, best known for her 1997 hit song “Torn” and the accompanying video, finds inspiration for her new album from her favorite male songwriters. As the title suggests, Male – her first album since 2009 – is a collection of classic and contemporary songs all performed by men including Cat Stevens (“The Wind”), Tom Petty (“The Waiting”), Neil Young (“Only Love Can Break Your Heart”), Damien Rice (“Cannonball”), Peter Townshend (“Let My Love Open the Door”) and The Cure (“Friday I’m in Love”). The first single from Male is “Instant Crush,” which was originally recorded by the electro-pop Grammy winners Daft Punk. the third solo album from The Strokes’ guitarist. “I feel like the best songs I’ve written, as soon as I was done, I was like, “Oh my God, I did it!’ But in that split second that it comes, that feeling goes,” he explains. “It’s the same thing when you find complete happiness, you find this complete low. I feel like that’s what being creative is: It’s you bouncing with emotion and what you capture in those bounces. Accept where you are and use it.” Thus Hammond Jr. Has called his third solo album Momentary Masters. Many years have passed since the release of his two solo records, 2006’s Yours to Keep and 2008’s ¿Cómo Te Llama?, and truthfully, the person who created those songs is in a very different place now. Back then Hammond Jr. #was swept up in a whirlwind, one-fifth of The Strokes, indulging in an intoxicating cocktail of excess and all-consuming romances. When he finally sobered up, getting back into writing music was a daunting challenge. When touring for her debut album Is Your Love Big Enough? came to a close, Lianne La Havas headed to Jamaica with her mother for a long-awaited holiday that evolved into an experience of self-discovery. She enjoyed emotional reunions with long-lost relatives; embraced Kingston’s clubs; and even jammed in front of her family for the first time during a session with legendary dancehall/reggae producer Stephen McGregor. Exploring her roots inspired La Havas’s writing. Lyrically, she says, the songs she wrote are almost all related to “the feeling of who you are and where you come from.” And musically, La Havas took inspiration from Jamaica’s love of grooves, rhythms, and syncopation. McGregor ultimately joined in the making of Blood along with a rich collection of others, including Adele/FKA twigs collaborator Paul Epworth and Matt Hales of Aqualung. Deluxe CD/DVD edition. 2015 release, the second studio album by this supergroup featuring Joe Bonamassa, Tal Bergman, Renato Neto, Mike Merritt, Ron DeJesus, and Daniel Sadownick. The bonus DVD includes nearly an hour of footage. We want to keep you up to date with new music coming through our studios, so every Tuesday morning at 11, Doug Jayne, from The Last Record Store and KRCB’s Mid-DayMusic and Our Roots Are Showing programs, sits down with morning host Brian Griffith to go over the most interesting and notable of new releases. Your second chance to listen in on the discussion comes with Needle Droppings, a weekly new-release segment with our very own Doug Jayne and a rotating panel of music junkies, usually including Michelle Marques of KRCB, Petaluma Vice Mayor Gabe Kearney, Gabe Meline from KQED, Blair Hardman from Zone Recording, Comedian Juan Carlos- and more! Needle Droppings airs Fridays as part of The Drive With Steve Jaxon at 4:20pm on KSRO, at 1350-AM, 103.5-FM, and online at ksro.com. Tune in! See you on the Avenue! 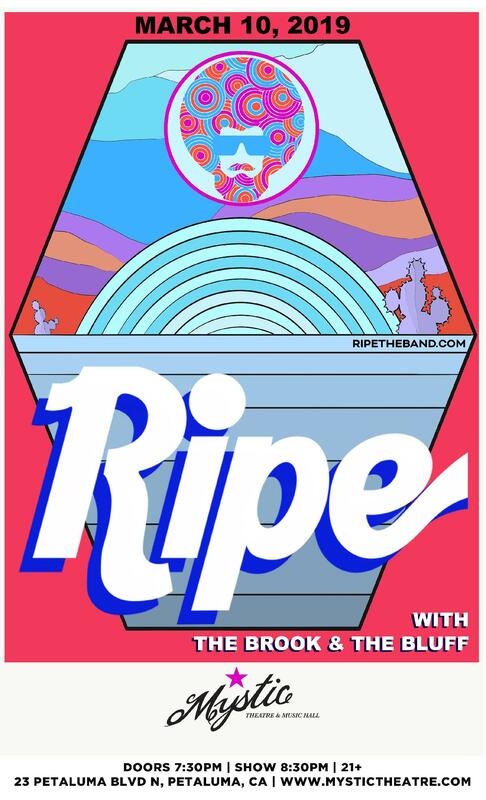 – an acclaimed musical collective featuring siblings Sara and Sean Watkins along with Fiona Apple, Benmont Tench, Don Heffington, Greg Leisz and Sebastian Steinberg – will release their debut, self-titled album on July 24. Additionally, in celebration of the release, the collective will take their ‘variety show of epic proportions’ (Los Angeles Times) to cities across the U.S. this summer kicking off with a performance at the Newport Folk Festival. 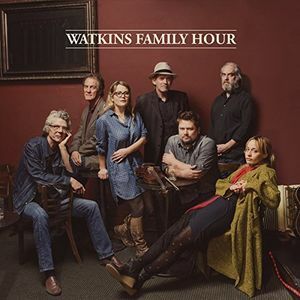 Watkins Family Hour, recorded live over three days in the studio of their friend and producer-engineer Sheldon Gomberg, captures the freewheeling spirit of the collective’s live shows. An all-covers affair, the album additionally includes Sara leading vocals on the Grateful Dead’s ‘Brokedown Palace,’ Sean essaying Roger Miller’s wistful ‘Not In Nottingham,’ from Disney’s 1973 animated Robin Hood, and Apple singing ‘Where I Ought To Be,’ originally performed by Skeeter Davis. 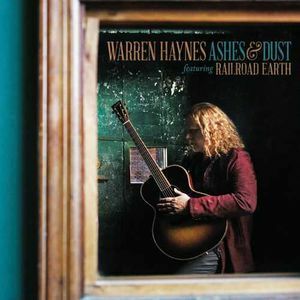 solo album from Warren Haynes (Gov’t Mule, The Allman Brothers Band) that features acclaimed string band Railroad Earth. Guest artists on the album include Grace Potter, Shawn Colvin, former Allman Brothers Band co-conspirators Oteil Burbridge and Marc Quinones, and Mickey Raphael. The first single “Spots of Time” was co-written with long time Grateful dead bass player Phil Lesh. Recently, during the final performance of his two-year Unstoppable Momentum tour, Satriani had an epiphany; he found himself, “playing the guitar with my teeth an awful lot. I thought, ‘Why are you doing this?’ It’s as if something else, or somebody else, was driving me to do it.” Satriani seized upon this moment of self-realization as the springboard and creative center for his alter ego “Shockwave Supernova,” the outlandish and extroverted ‘performance side’ of the normally shy and reserved guitar virtuoso. 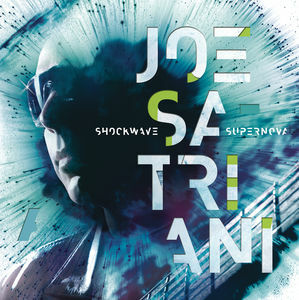 With this new persona as partner, Satriani launches his wildly ambitious 15th solo album, Shockwave Supernova. Recorded late last year at Skywalker Sound in Lucas Valley, CA, Satriani assembled the dynamic trio of world-class musicians who had recently been part of his global tour; renowned keyboardist and guitarist Mike Keneally, a veteran of several Satch outings and recordings; along with drumming whiz Marco Minnemann and bass extraordinaire Bryan Beller. includes a bonus BR disc containing a new 5.1 surround remix of the album on high-definition Blu-ray audio. Digitally remastered edition of this 1992 album features remaster completed by longtime Roger Waters/Pink Floyd collaborator and co-producer, James Guthrie. The art has been updated for 2015 by Sean Evans, the creative director of Waters’ 2010-2013 The Wall Live tour and movie. An unblinking look at an entertainment-obsessed society, Amused to Death addresses issues that have only grown in complexity and urgency over the past two decades. 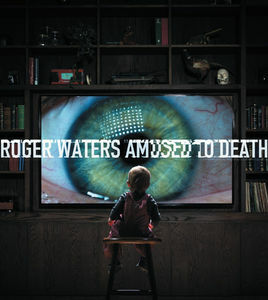 With Amused to Death, Roger Waters sounded the alarm about a society increasingly and unthinkingly in thrall to it’s television screens. Twenty-three years later, Amused to Death speaks to our present moment in ways that could scarcely have been anticipated two decades ago. In 2015, television is just one option in an endless array of distractions available to us anytime, anywhere, courtesy of our laptops, tablets and smartphones. With eyes glued to our screens, the dilemmas and injustices of the real world can easily recede from view. At age 11, Ashley won a talent contest in Pigeon Forge, TN where she sang “I Want to Be a Cowboy’s Sweetheart”, and found steady work at a theater there. Her parents played songs by the Eagles and Lynyrd Skynyrd. After her father died from cancer when she was 13, Monroe and her mother moved to Nashville so she could pursue her career in music. After a year in Nashville, she gained a publishing deal as a songwriter, which then led to her signing to a record contract with Sony Records and she recorded her debut album in 2006. Longtime friends, Monroe, Miranda Lambert and newcomer Angaleena Presley formed an all-girl trio Pistol Annies, and released their album Hell on Heels, in April 2011. In late-2008, Monroe collaborated with The Raconteurs and Ricky Skaggs on The Raconteurs single, “Old Enough”, which was released in bluegrass form, and as a music video. Monroe contributes backing vocals as a member of Jack White‘s Third Man House Band, which performed with Wanda Jackson on her newest album, The Party Ain’t Over, which was released on January 25, 2011. 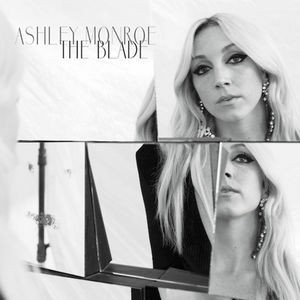 The Blade is Ashley’s 2nd solo album. the 10th studio album from singer, songwriter and storyteller Kasey Chambers. Bittersweet is her first solo record in four years. Produced by Nick DiDia (Pearl Jam, Bruce Springsteen, The Wallflowers) at Australia’s Studios 301, Bittersweet is something of a departure for Kasey from the ‘expected’. 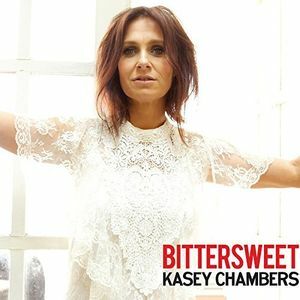 Signifying a new phase in her exciting and expansive career, Bittersweet sees Kasey enter the studio without producer/manager/ brother and good luck charm Nash Chambers for the first time. 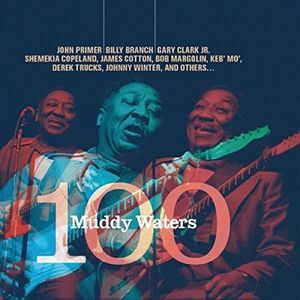 this official and authorized centennial tribute to Muddy Waters is a once-in-a-lifetime CD event that celebrates, commemorates and contributes to the importance of this American icon and his musical legacy. This album features Muddy Waters band alumni and many of today’s preeminent American blues and roots artists, including Gary Clark Jr., Shemekia Copeland, James Cotton, Bob Margolin, Keb’ Mo’, John Primer, Derek Trucks, Johnny Winter, and others. 15 tracks, all new recordings. Each song has been selected to represent a different period of Muddy’s career. The Loud & Proud Records team and Lynyrd Skynyrd have enjoyed success together for over 15 years and we are proud to continue the tradition with the release of the 2 CD/DVD Lynyrd Skynyrd – One More For The Fans, a celebration of the band’s incredible musical legacy. As part of the campaign to save the Fox Theater from demolition in 1976, Lynyrd Skynyrd recorded their live album, One More From The Road, at the landmark theater. 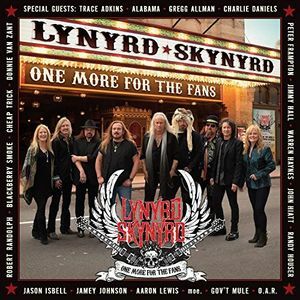 Their title Lynyrd Skynyrd – One More For The Fans, was inspired by that legendary album’s title. With a catalog of over 60 albums and sales beyond 30 million worldwide, Rock & Roll Hall of Famers Lynyrd Skynyrd remain a cultural icon that appeals to multiple generations. Lynyrd Skynyrd continues to build on the legacy that began over 40 years ago in Jacksonville, Florida. Their last album, Last of a Dying’ Breed, debuted at #14 on the Billboard Top 200, making it their highest charting album since 1977. Not every band who does an autograph signing at The Last Record Store can rise up to be musical legends, but every once in a while a group is able to exceed all expectations and define the boundaries of a genre. 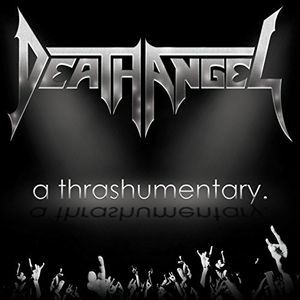 Among one of the youngest bands ever to storm the metal world, Death Angel have come to be known as one of the most influential bands to emerge from the 80s Bay Area Trash Metal scene. Death Angel weren’t just a band, they were family! Originally formed in 1982 by five cousins, including surviving members, guitarists Rob Cavestany and vocalist Mark Osegueda, ‘A Thrashumentary’ tells the story of the bands incredible musical journey and of a dream that called for blood! 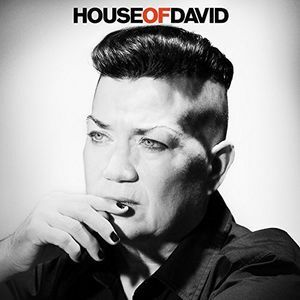 album by the actress and vocalist best known as Carrie ‘Big Boo’ Black in the hit Netflix series Orange is the New Black. The first major jazz reworking on Bowie’s beloved catalog, the album features tracks such as a smooth bossa nova interpretation of “Golden Years,” a trenchant “Life On Mars?” and a roof-raising gospel take on “Modern Love.” Delaria boasts a multi-faceted career as a comedian, actress and jazz musician; she holds the distinction of being the first openly gay comic on television. 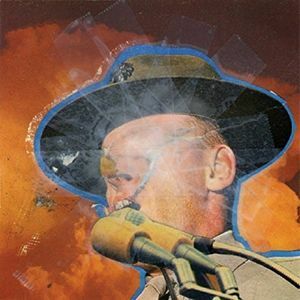 the second album from prolific indie artist Robert Pollard’s self-described “supergroup” (tongue practically piercing his cheek with self-deprecating irony). King Heavy Metal is a hitherto undiscovered species of rainforest songbird capable of changing colors in the ultraviolet and infrared spectrums. At once prog-struck, collagist, technically impressive, and melodically complex, King Heavy Metal lives up to and subverts its title over the course of its 12 songs. There’s stuff on here that wouldn’t be out of place on any post-Isolation Drills Guided By Voices album, stuff that wouldn’t be out of place on an alternate-universe mid-70s Who album, and stuff that’s as lo-fi, booze-addled, and sloppy as anything from “classic”-era GBV. Pollard’s determined to establish Ricked Wicky as more than just another solo or side project: it’s a proper, self-contained group, with significant contributions, both instrumental and songwriting, from guitarist Nick Mitchell (long time GBV/Pollard stalwart Kevin March supplies drums). Mitchell sings lead on two songs here, both presumably written by him as well. Something More Than Free is the follow up to Isbell’s 2013 celebrated breakthrough album Southeastern, which received overwhelming support from the press and went on to sell over 150,000 copies. Isbell was the subject of stories in outlets ranging from The New York Times Magazine and Wall Street Journal to NPR’s All Things Considered and Fresh Air with Terry Gross. Jason Isbell & The 400 Unit made multiple television appearances, including The Late Show with David Letterman, Conan and Austin City Limits. Isbell won Artist of the Year, Song of the Year (‘Cover Me Up ‘) and Album of the Year at the 2014 Americana Music Awards. At David Letterman’s personal request, Jason and his wife, Amanda Shires performed on one of the last episodes of The Late Show in April 2015.
the highly anticipated third full length album from the much loved Australian band. Currents is the follow up to 2012’s Lonerism. Kevin Parker, the musician behind Tame Impala, explained that Currents is about the process of personal transformation. He said, “It follows the progression of someone feeling like they are becoming something else. They’re becoming the kind of person they thought they’d never become.” The cover art for Currents was created by Kentucky-based artist and musician Robert Beatty. Parker has said Currents’ designs are based on a diagram of vortex shedding he remembered while trying to visualize the album’s themes. Includes the single ‘Let It Happen’. the Grammy winning British duo’s first album in five years. Born In The Echoes quickly remind us of their influence and importance. As electronic music further ingrains itself in the fabric of mainstream music, the band delivers a master class in pushing the boundaries of the genre they helped establish. Having recently collaborated with Lorde & Miguel on The Hunger Games: Mockingjay soundtrack, Born In The Echoes features guest appearances from Beck, St. Vincent, Q-Tip and others. Includes ‘Sometimes I Feel So Deserted’, ‘Under Neon Lights’, ‘Taste Of Honey’ and many more. The Chemical Brothers are still three steps ahead while the rest of the electronic world plays catch-up! Following up on the experimental sounds of LP3 and LP4, Ratatat return to their core guitar-driven sound on Magnifique. Combining the bedrock beats and primordial riffs from their first two albums with the sonic experimentation and production prowess of LP3 and LP4, Mike and Evan arrived at a new plateau with Magnifique. studio release from Sublime with Rome, the alt-rock group born from the ashes of Sublime. Their last release, Yours Truly, debuted with 35K and has scanned 153K RTD. The album includes the song ‘Sirens’ featuring musical assistance from Dirty Heads. Hailing from New Orleans, Lousiana – Galactic has been exploring their seemingly limitless musical possibilities for more than 30 years. Since then, the band has consistently pushed artistic boundaries on the road and in the studio, approaching their music with open ears and drawing inspiration as much from the sounds bubbling up from their city’s streets as they do from each other. Into The Deep includes collaborations with artists they’ve made connections with over the last 20 years including Macy Gray, Mavis Staples, JJ Grey, Maggie Koerner and more. Deluxe four CD set includes 40-page booklet with authentic and rare photos, plus double-sided foldout poster. Miles Davis At Newport: 1955-1975 Bootleg Series 4 tracks Miles’ ascendance over eight live festival performances spanning 20 years in Newport, New York, Berlin, And Switzerland. This 296-minute program includes nearly four hours of previously unreleased material. Features Miles’ stellar band line-ups in 1955, 1958, 1966, 1967, 1969, 1971, 1973, and 1975. Every concert features a who’s who of Jazz! From the ’50s featuring Thelonious Monk and Gerry Mulligan, to Cannonball Adderley, John Coltrane, Bill Evans, Paul Chambers, and Jimmy Cobb; to the mid-’60s second great quintet featuring Wayne Shorter, Herbie Hancock, Ron Carter, and Tony Williams; into the ’70s, rock and R&B-rooted musicians like guitarists Pete Cosey and Reggie Lucas, electric bassist Michael Henderson, Mtume on percussion, plus jazz drummer Al Foster. The current Blues Foundation ‘Blues Guitarist Of The Year,’ Ronnie Earl, returns with ‘Father’s Day,’ his 9th album on Stony Plain. For the first time in decades Earl includes a horn section, bringing him back to his early days as front man for Roomful Of Blues. Playing with spellbinding intensity and soul, Earl has a legion of fans that await each new release. Four CD set. Previously unreleased live release recorded in 1968 at the legendary Fillmore East. This box contains both the early and late shows from October 4th and 5th, 1968. On those nights, shortly after the release of the band’s third album Life, Sly & The Family Stone took the stage at Bill Graham’s legendary Fillmore East in New York City. Along with the success of ‘Dance To The Music’, which was released earlier that year and spun off the Top 10 hit of the same name, Sly & The Family Stone were making a name for themselves on the concert circuit, with their dynamic, high energy live performances. Epic Records recorded all four of these concerts (two shows per night) with plans to release a live album that would consist of selections from these performances but the release was shelved until now. For the first time in 26 years, Tuesday passed and there are no new albums out in America. Starting this week, the record industry is shifting to a Friday release date around the globe. Five CD box containing a quintet of EPs from the hit-making British singer/songwriter originally released separately in the UK. The five EPs contained in this set feature a total of 33 songs – both studio and live – many of which can only be found on these releases. Ed Sheeran is blessed – he seems to know exactly where he is going, and exactly how to get there. Where countless others fail to make an impression amid today’s information overload, Ed’s music and talent cut straight through. He has a poise that is as welcome as it is unusual in someone so young. He’s both utterly self-assured but still charmingly open. 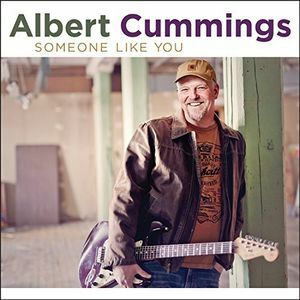 He has a confidence that’s built not on being able to sing someone else’s song quite nicely on a teatime TV show, but on hundreds and hundreds and hundreds of gigs where it’s just him, his guitar, a loop pedal and a crowd. Limited Edition includes bonus tracks. Levolent kings of British metal. Masters of the darkest arts and crafts. Cradle of Filth have been firmly ensconced at the forefront of the extreme music scene for the last two decades. Ever since they emerged from the lengthening Suffolk shadows in 1991, Dani Filth and his fiendish cohorts have blazed a grotesque trail across the globe, spreading their fetid gospel of obscene theatricality, pitch-black horror and exquisite musical madness, earning themselves a formidable reputation as one of the most important metal bands ever. Produced by Grammy Award winning jazz musician Robert Glasper, this 2015 album of contemporary artists covering Nina Simone classics – in support of the film What Happened, Miss Simone? – includes tracks by Usher, Mary J. Blige, Common and Lauryn Hill. Ghost Notes is the first new album from Veruca Salt featuring all original members (Nina Gordon-Vocals & Guitar, Louise Post-Vocals & Guitar, Steve Lack-Bass, Jim Shapiro-Drums) since 1997’s certified gold album, Eight Arms To Hold You. Formed in Chicago, IL in 1993, Veruca Salt took the indie-rock world by storm with their first single ‘Seether’ from their debut album, American Thighs. For their first record in almost two decades Ghost Notes, the band enlisted producer Brad Wood (Smashing Pumpkins/Sunny Day Real Estate/Liz Phair) who also produced their debut release. Limited digitally remastered mini LP sleeve edition that re-creates the original packaging right down to the label on the CD. Recorded right after the Youngbloods broke up, and released on their own Raccoon label, 1972’s Mid-Mountain Ranch was the sole solo album from the band’s multi-instrumentalist Banana a.k.a. Lowell Levinger. Except that it wasn’t really a solo album, because the Bunch included Joe Bauer and Michael Kane from Banana’s former outfit! So, Mid-Mountain Ranch really was a Youngbloods album sans Jesse Colin Young; and the absence of their former front man allows Banana and his Bunch to stretch out with some bluegrass and jazz licks alongside their patented folk rock sound. It’s something of an early alt-country cult classic. Four-time Grammy nominee Anoushka Shankar is one of today´s most distinguished classical cross-genre sitar performers and composers. After Traveller and Traces of You, this pure Indian classical album is Anoushka´s third release on Deutsche Grammophon, recorded right at her home studio in London. Inspired by her classical upbringing and teaching by her legendary father, Ravi Shankar, this album offers both meditative and virtuoso Indian classical raga for solo sitar with ensemble. 2015 release by the alt-rock band featuring our own Josh Staples on Bass & Vocals. Nine years since the last full length from The Velvet Teen and the band has written what could arguably be their best record yet. All Is Illusory was mixed by Steve Choi of the RX Bandits and exemplifies the band’s use of driving guitars, exceptionally technical drumming and lyrics by Judah Nagler that will make the listener question reality. 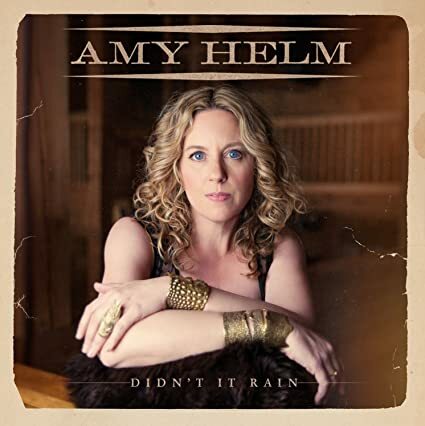 2015 album from the veteran singer/songwriter . For this guitar-centric, full steam-ahead and highly-charged rock album, Young is joined by Promise of the Real, an LA-based rock band fronted by Willie Nelson’s son Lukas (vocals/guitar), along with Micah Nelson (guitar, vocals), Anthony Logerfo (drums), Corey McCormick (bass) and Tato Melgar (percussion). The ecologically/environmentally-focused album finds Neil at his most passionate and hard-hitting. 2015 release from the singer/songwriter best known as half of the four-time Grammy-winning folk-rock duo The Civil Wars. Until their 2012 hiatus (and eventual break up in August 2014) the singer-songstress with her long sea witch hair and Mona Lisa half-smile rarely revealed herself, except through the duo’s bruising and stark lyrics of romantic conflations and doomed intimacies. On Venus she changes all that. No longer content to just conjure the antique grace of some mythic, bygone world, Williams was intent to actually pierce the veil of metaphor and an imagined history and tell a more honest, human story of one woman’s journey out of darkness. Over 11 unstintingly honest songs, she unabashedly recounts what occurred in her life over the past two and a half years. She doesn’t try to defend or explain, but in-stead tells a simple straightforward story of events, sparing no one, especially herself. Over the arc of the album, the listener can feel Williams coming home to herself, after fearlessly excavating all the pain and confusion. In the end she can see her life from a great altitude, able to view her choices as an overarching geography that finally makes sense to her, freeing her to become the woman she needed to be. To find the parts of herself that were broken, becoming stronger and content to just be. You might call it a coming-of-age album, but it is so much more than that. It shows how one woman has come to live her truth – the good, the bad, the petulant, the honorable – and in the end, shows all of us how to live our own. 2015 release, the third album from Grammy Award winning recording artist Miguel. Wildheart is the long awaited follow up to Miguel’s 2012 critically acclaimed sophomore release, Kaleidoscope Dream, which spent 20 weeks on the Billboard 200 Album Chart. While it’s a rare commodity for a band to tour as consistently as Slightly Stoopid, the group’s diligent commitment to live music provides some insight into their loyal fan base and unique creative metamorphosis throughout their existence. As apparent by their latest studio album Meanwhile Back at the Lab: the Ocean Beach, California based group – led by Co-founders and multi-instrumentalists Kyle McDonald and Miles Doughty – has also found the same passionate dedication to their studio craft, holing up between tours in their own San Diego recording studio and record label complex. The balance of a prolific touring regimen between albums has helped to refine their tasty fusion and massive groove that permeates Stoopid’s trademark sound and eight studio album catalogue, as well as their live shows. 2015 collection of solo tracks by by the singer, songwriter and British rock icon including two new tracks. Truancy was remastered at Abbey Road Studios, features new liner notes, and highlights from nine key Townshend albums including the singles- ‘Rough Boys,’ ‘Let My Love Open The Door,’ ‘Face Dances (Pt. 2),’ ‘English Boy’ and ‘Face The Face.’ 17 tracks total. Thick as a Brick: Single disc release of the 2014 Steven ‘Porcupine Tree’ Wilson mix of this classic album by Ian Anderson and friends. Thick As A Brick was the fifth studio album by Jethro Tull, released in 1972. The album is notable for only including one song, which spans the entire album. Thick As A Brick was deliberately crafted in the style of a concept album (and as a “bombastic” and “over the top” parody). The original packaging, designed like a newspaper, claims the album to be a musical adaptation of an epic poem by a (fictional) eight-year-old genius, though the lyrics were actually written by the band’s frontman, Ian Anderson. The album was a commercial success and topped the US charts. Passion Play: Single disc release of the 2014 Steven ‘Porcupine Tree’ Wilson mix of this classic album by Ian Anderson and friends. A Passion Play was the sixth studio album by Jethro Tull. Like it’s predecessor, Thick As A Brick (1972), it is a concept album the theme being the spiritual journey of one man in the afterlife. On release it had chart success around the world hitting #1 in the US and #13 in the UK. 2015 album by the acclaimed British folk legend and former Fairport Convention leader. Richard Thompson, who has been named one of Rolling Stone’s 20 Greatest Guitarists of all-time, presents Still, a stunning collection of gifted songwriting and virtuosic guitar playing produced by Jeff Tweedy, leader of the famed band Wilco. This unexpected yet exciting pairing presents one of the most anticipated releases of the year. Already called one of the best records of his career, Still stands out among his massive body of work which includes over 40 albums and numerous Grammy nominations. Includes ‘She Could Never Resist A Winding Road’, ‘Long John Silver’ and ‘Beatnik Walking. Two-time Grammy winner Ricky Lee Jones exploded onto the pop scene with her groundbreaking self-titled debut and has fearlessly experimented with her sound and persona over 15 critically acclaimed albums. Her latest, The Other Side of Desire was written, recorded and rooted in the city of New Orleans by Tennessee Williams. Produced by John Porter (of Roxy Music) and Mark Howard, this is the first new music Jones has written in over a decade. 2015 release, the highly-anticipated sophomore album by the singer/songwriter. The follow-up to 2013′s Same Trailer Different Park. Pageant Material is a 13-song tour-de-force. Musgraves co-wrote all of the album’s tracks with an impressive roster of songwriters that includes longtime collaborators Shane McAnally and Brandy Clark, the duo who famously co-penned CMA Song of the Year “Follow Your Arrow” with Musgraves for her debut. Highly anticipated 2015 debut album from Fort Worth, TX native Leon Bridges. Coming Home was produced by Austin Jenkins and Josh Block of White Denim. Bridges began writing and performing 1950s and ’60s style soul music that was described by Austin 360 as “a transmission straight from the heart.” He began to attract followers and his break in the music industry is attributed to a run in he had at a bar with White Denim guitarist Austin Jenkins. The duo discussed clothing at the bar and a few weeks later Jenkins and bandmate Joshua Block ran into Bridges during a performance in north Texas. It was the performance of his original song “Coming Home” that caught the attention of Block and Jenkins. This debut includes that track and nine other originals. the first installment in a new archival series celebrating Jerry Garcia’s magical 13 night run on Broadway. On Broadway: Act One presents three complete, previously unreleased sets from the October 28th, 1987 performances at the Lunt-Fontanne Theatre in NYC: the early and late Jerry Garcia Acoustic Band sets and the Jerry Garcia Band’s electric evening set. Highlights are many, but include “I Ain t Never”, “Bright Morning Stars”, “Run For The Roses” and Bob Dylan’s “Tangled Up In Blue”. Your second chance to listen in on the discussion comes with Needle Droppings, a weekly new-release segment with our very own Doug Jayne and a rotating panel of music junkies, usually including Michelle Marques of KSRO and KRCB, Petaluma Vice Mayor Gabe Kearney, Gabe Meline from KQED, Blair Hardman from Zone Recording and more!